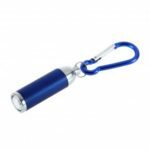 This Mini LED Keychain Flashlight is ideal for outdoor activities. 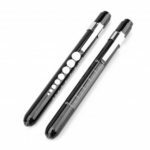 Featuring with super brightness LED bulb, allow to light up a wide-range area easily. Mini size with hanging buckle make it quite easy and convenient to carry around. Besides, it&apos;s very simple to use, just rotate the head to turn the light on or off! Can light up the whole corridor easily. Just rotate the head of the mini flashlight to turn the light on or off, convenient and efficient! Weights only 20g, extremely easy to carry. 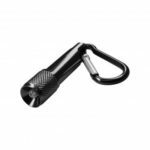 Crafted with superior high strength aluminum alloy, solid and durable, and effectively prevents the flashlight from scratches, abrasion and corrosion. Allows to easily hang on your keychain or backpack.